In order to understand Galatians 2, we need to understand Paul’s relationship with Peter. 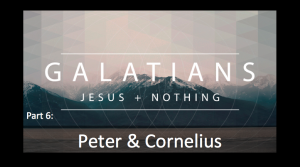 In order to understand Paul’s relationship with Peter, we need to see what God taught Peter in Acts 10 when he meets a Roman centurion named Cornelius. Message: Who Can Be Saved? 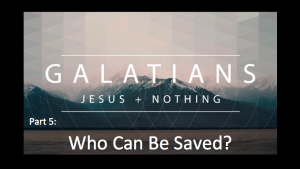 The question “Who Can Be Saved?” was an important one for the early church. It was important to Paul in his letter to the Galatians. The Judaizers thought you had to be Jewish to be saved. Paul disagreed.